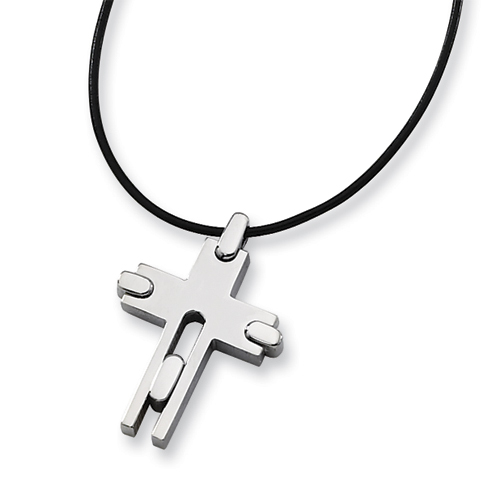 This modern titanium cross dangles from an 18in black leather cord necklace. Cross dimensions: 1 1/4in x 15/16in. Made of commercially pure [CP] titanium. Fancy lobster clasp. The cross pendant was lovely. It looked better than the picture. Your Customer Service Dept. was wonderful. Thank you for a smooth transaction.